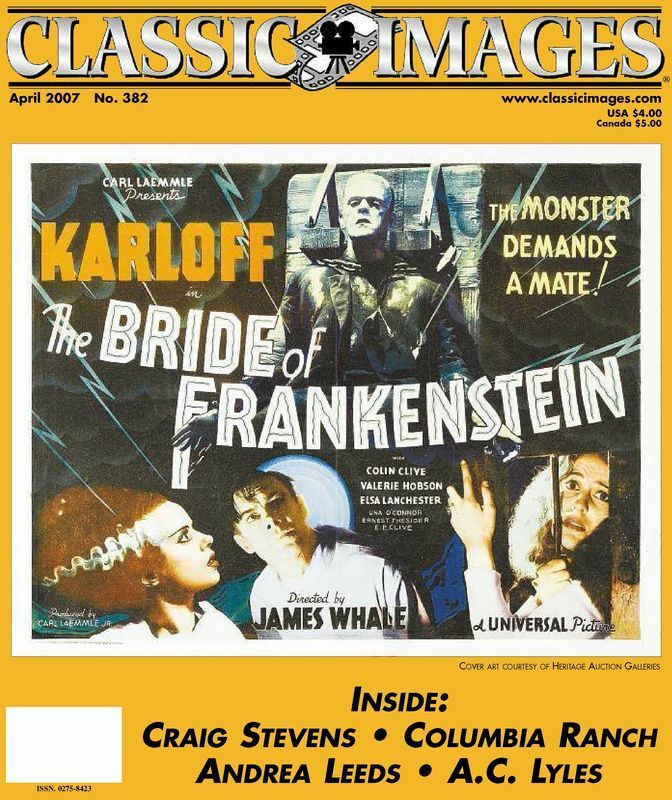 Later this month the February 2017 issue of CLASSIC IMAGES magazine goes out to subscribers, marking a milestone with issue number 500. You read that right... 500. CLASSIC IMAGES was the brainchild of a furniture store owner named Sam Rubin. From his home in Indiana, Pennsylvania, Sam began publishing a fanzine he called “8mm collector,” in June of 1962, in order to serve classic film buffs who ran films in their homes. In an era before the Internet, the idea was to give film collectors a place to talk about their hobby, focusing especially on the problem of sorting out the best and the worst film prints that were being sold on the collectors market at that time. Film collectors responded enthusiastically and their feedback started a tradition that lasts to this day with reader input being an important part of the publication. Today, many of the articles focus on biographical retrospectives of Hollywood actors and actresses. About a year ago Tom Weaver began contributing monthly columns of interviews with Hollywood actors and documentaries focusing on classic movies. The November 2016 issue, for example, featured Tom's coverage of "The Making of Universal's The Black Castle." Laura Wagner provides a monthly column of book reviews, keeping geeks like myself in touch with current publications released to the market. Robert Tevis provides a column reporting screenings of rare movies not available elsewhere. Harris Lentz III provides a monthly list of Hollywood celebrities who have passed on in the past month. Ray Frieders provides us with a list of movies coming out commercially on DVD and their street dates. There are frequent reviews of film festivals, loaded with on-the-scene photographs. Best summed up, CLASSIC IMAGES keeps any movie buff current with the latest news in the hobby. 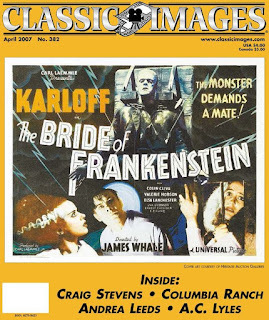 CLASSIC IMAGES evolved in the 1970s when Sam Rubin sold the publication to Blackhawk Films in Davenport, Iowa, with Sam staying on as Editor-In-Chief and moving his office to Davenport. 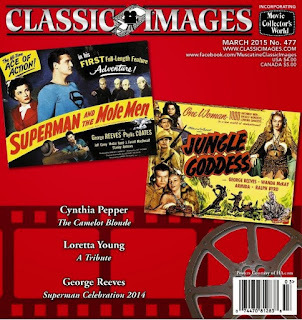 With the advent of the video revolution in the late 1970s the name of the periodical was changed to CLASSIC IMAGES and as the publication grew it came to serve all areas of movie collectibles including posters, stills, autographs, books and the whole gamut of movie memorabilia. In 1991 Bob King came on as editor following Sam’s retirement. 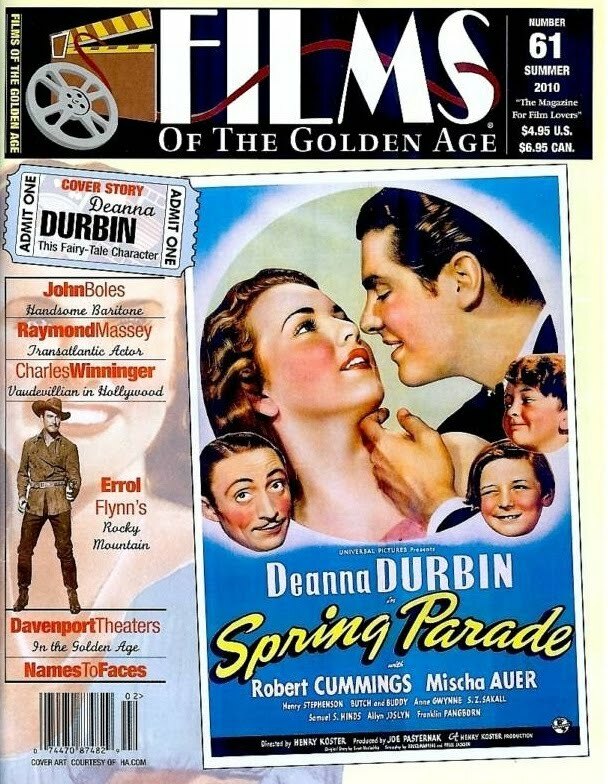 In 1995 King launched FILMS OF THE GOLDEN AGE magazine as a quarterly sister publication to the monthly CLASSIC IMAGES newspaper. 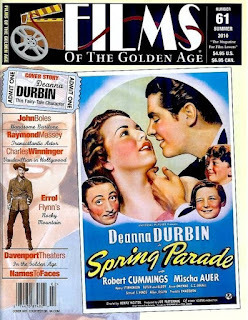 Editorially, CLASSIC IMAGES and FILMS OF THE GOLDEN AGE focus on classic movies, and the enhancement of classic film preservation and appreciation. As the “voice of film fandom” both magazines take strong stands against such threats as banning classic films, for example, the misguided “Chan ban” against the classic Charlie Chan detective films. Both magazines also provide a platform for writers who research and write about films and filmmakers who now are mostly ignored or misunderstood by the mainstream media. I would also like to note that FILMS OF THE GOLDEN AGE will reach issue #100 a year and a half from now, also reaching a milestone. 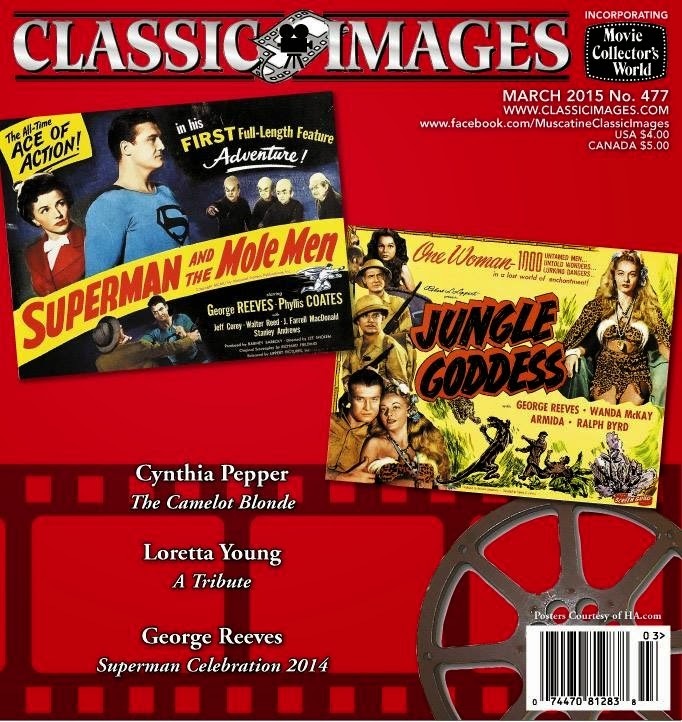 Quoting Bob King, "After 55 years of service to the movie buff community, CLASSIC IMAGES and FILMS OF THE GOLDEN AGE salute all our readers, advertisers and contributors whose commitment to classic films has accomplished so much. Sam’s original aim in 1962 was to give the film buff community a measure of clout that they could not have alone. We plan to carry on his good works well into the future." I have copies of CI going back to the 80s...every issue a delight. Asking people to pay money for a magazine like this is stupid. Why not just put it on the internet for free so everybody can enjoy it? Just goes to show you that the anonymous folks (Adam above) are quick to speak ill of a magazine that has provided thousands of hours of pleasurable reading. And Mr. Anonymous (a.k.a. Adam) is not aware that the recent issue of Classic Images is always posted on their website for free every month. For sale A RARE complete first 387 issues of CLASSIC IMAGES collection, including personal art work by Al Henry, incorporated in past issues. July 7, 1962 (issue number 1) through December 2006 (issue number 378). Included, are nine complete additional rare issues briefly offered for sale at the time (CLASSIC IMAGES REVIEW) dated November 1979, ending October 1981. Condition of these 387 original newspaper editions, plus nine editions (total of 396 issues) are mint to excellent. In addition there are 31 prints of original drawings by artist Al Henry who was commissioned to create art of stars profiled in selected issues.